It’s the bottom of the ninth. You’re at the plate. Here comes the pitch. You swing… It’s a smash deep into centre-field. A home run! 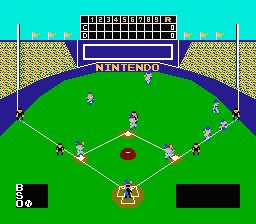 In the NES classic BASEBALL, you control every action. The swing of the bat. The speed of the pitch. The hits, the steals, the double plays. Pit your skills against the computer or challenge a friend. All it’s missing is the smell of hotdogs! No reason for anyone to download this when they have Baseball with Wii Sports. Another one also found in Animal Crossing. It's on VC for the one's that loved it. 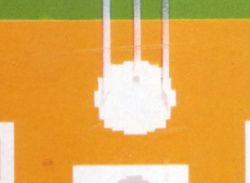 And many people loved its slow paced simple gameplay and it's (now for most eyes invisible) charm back then. For todays standards play Wii Sports Baseball instead and forget about this. 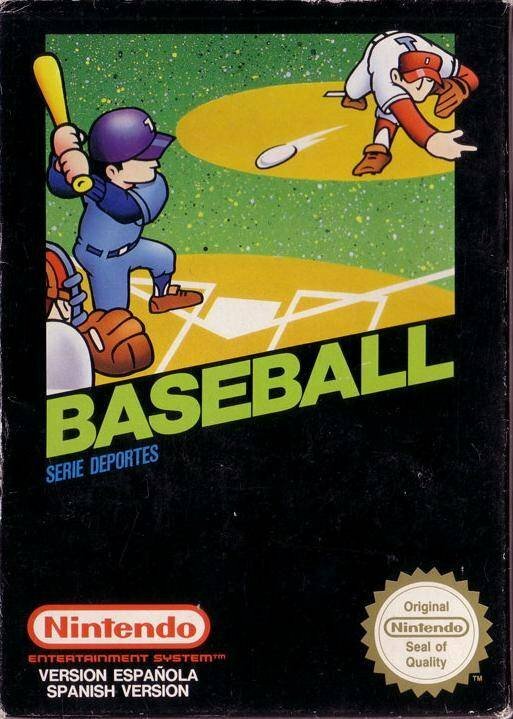 Possibly the worst baseball game you could play. I remember getting this game when I was real young. I was so disappointed that I had wasted my hard earned allowance money on it. What a sad day it was indeed. My brother liked it though. Only worth 100 points max on the VC. Why did they use a pixely picture for even the box art. I played this once, my friend paid a whole 500 points...HA! It was good for laughing at the pathetic play but it really failed too much to warrant a rematch. 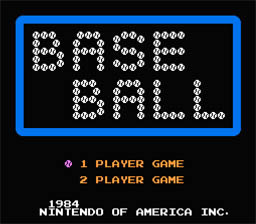 Aww, had lots of fun playing this with my older brother back when we didn't know any better. I will always remember the one time I played with my dad and he got (rightfully) upset by how laughably slow the outfielders were as they lurched around to pick up deep grounders, turning real-world base hits into triples. He said something like "Aw, come on, they're running like they got chowder down their pants!" Purchase it if you want a cure for insomnia. Did anybody notice how nintendo released their old school counter parts to the Wii sports games? Believe it or not, I acually was excited of getting this game in Animal Crossing because I love baseball. 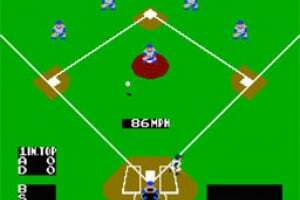 I really hated this game because I didn't understand the controls in this game and the innings take forever to end. So don't get this game. Played this when it was unlocked on Animal Crossing, Kinda unremarkable, i only played for 5 mins then i just switched it off again due to the dullness of not batting. This one is still good fun if you played it as a kid. 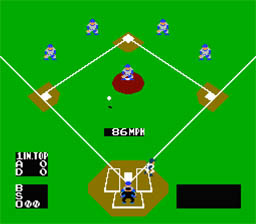 I used to play this for hours with my brothers and cousins, into the morning (at least until RBI Baseball came out). I played this in animal crossing with my brother, we actually had fun. However, since I can play it in that whenever I want, I think I'll pass on Downloading it. 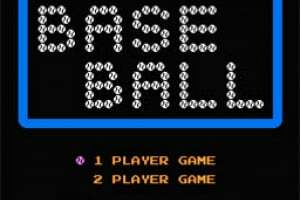 Gee... a 500 point baseball game. We have Baseball or... um... Bases Loaded. What ever shall we do??? Okay hang on... we have Baseball and Soccer and Ice Hockey but no Pro Wrestling or 10 yard fight??? What the hell is going on here?? Wow...totally not worth even 100 wii points. This is a perfect example of a game that hasn't aged well at all. 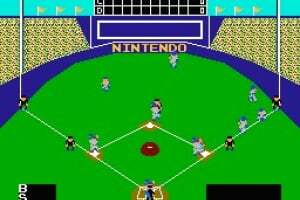 It's not the best sports game ever, but it still is pretty fun to play. I'd give it a 2 or 3. It was a fine game but I prefer Base Wars!!! I wonder if this is bad as Tennis. Segasonic- No way! This one's better! Cheetaman91- I think I'd say no. At least this game has a bit more going on in it! I had the original NES version, and I do kinda like it. Part because of its 8 bit charm, and it is good for a little change in pace. Kinda like Solitare!